The list includes the 2014 Moto X Pure Edition, DROID Turbo, third-gen Moto G, and a few others. Motorola will soon update many handsets with Android 6.0 Marshmallow and, at the end of last week, has unveiled the list of devices that would get the new firmware. The company also mentioned a few Marshmallow highlights they are excited about. 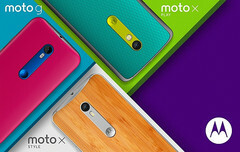 As time goes by, more Motorola handsets should join the list. Unfortunately, there is no ETA for now. "We’ll work fast but we won’t push the upgrades out until we know they’re ready," wrote Motorola's VP of Software Product Management Bjorn Kilburn.